A couple of years ago, when I was obsessed with having sushi all the time, my husband ordered a bento box. I thought it was cute but nothing to write home about. His meal came in a tray with tons of little compartments for each course of his meal. I thought it was pretty cool and kept on living life without a second thought to this fun box idea. Then the other day I came across this lovely which led me to this great blog, the inspiration behind the post. I ended up spending like a half hour reading through all the bento posts on that blog and I’m officially a bento box mama. Now, I’m not nuts. I know that D is only 11 months old and is mainly BF these days with only one hearty serving of solids a day. 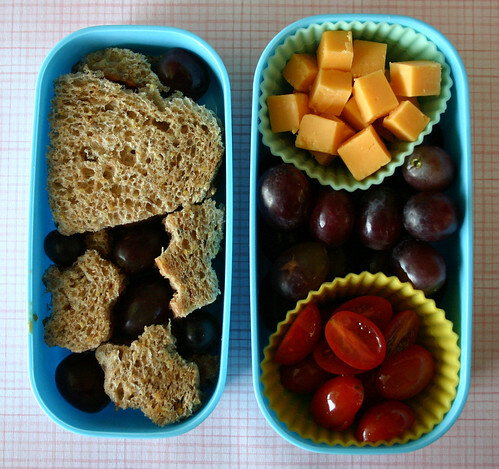 But my, oh friggin’ my…I cannot wait until she has to have packed lunches because then I can go bento crazy! There are a ton of variations for supplies, like the baking cups or cute decorative inserts to separate moist foods from dry foods. The best resource I’ve found is Wendolonia’s blog which really explains it all and gives some great ideas. 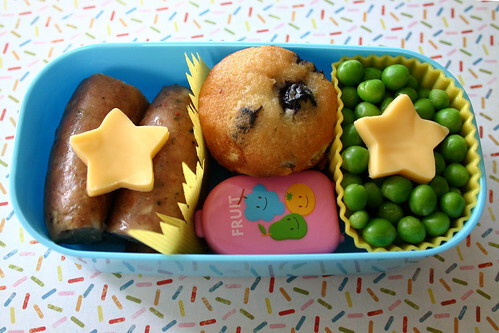 Below are some links to some bento items I’m lusting after at the moment. 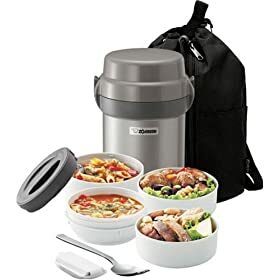 Laptop Lunches are pretty much the same concept just in a different container but certainly worth a look. There’s a local retailer near us, so if I like them in person I may end up going this route (even though bentos are certainly much, much cuter!). I don’t actually pack a lunch for myself these days. My office has two giant fridges so I stock up on a week or twos worth of lunch yummy supplies and whip something up on the spot. But I might it a go. Just add bento to the long list of lovelies I have to remember to buy in several years when D is old enough to make any use of this stuff. 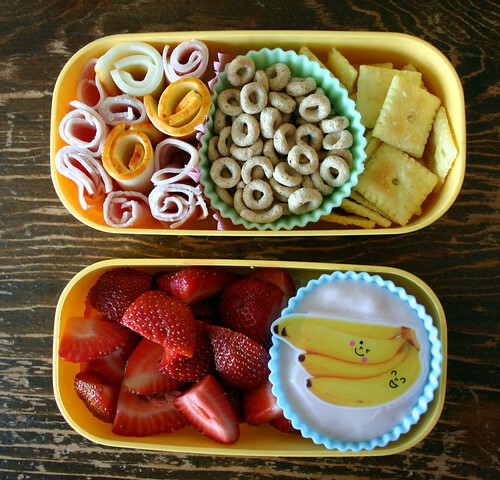 I’ll leave you with some bento lovelies.